I like to check out The Mom Edit (Styling for mom from bump to beyond) for fun mom-friendly fashion tips, cuz I definitely need them! Shana has a knack for style and shares her tips and links to her favorite clothes in a very real and relaxed way that you feel like you know her. But ya know what, she is also a breast cancer survivor. 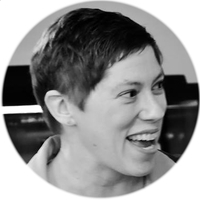 You can read Shana’s very real account of what she did when she first heard the diagnosis along with her experiences through treatment and more over at The Mom Edit, with this link to her posts having anything to do with breast cancer. I don’t share this just to point you to her awesome blog (and fashion lifesaver for me!) but because she is partnering with Stella and Dot to spoil someone rotten. Specifically someone currently fighting breast cancer or a breast cancer survivor. And you can be a part of it! This is all to raise money for the Noreen Fraser Foundation. Stella and Dot is donating 100% of proceeds from their Hope line to the Noreen Fraser Foundation. Isn’t that awesome?! The Mom Edit is hosting an online trunk show to accumulate points (in addition to the proceeds to be donated) which will be used to pamper the winners! Please go to this blog post and place an order through Shana’s link to donate and to help accumulate points to spoil some ladies whose lives are forever affected by breast cancer! 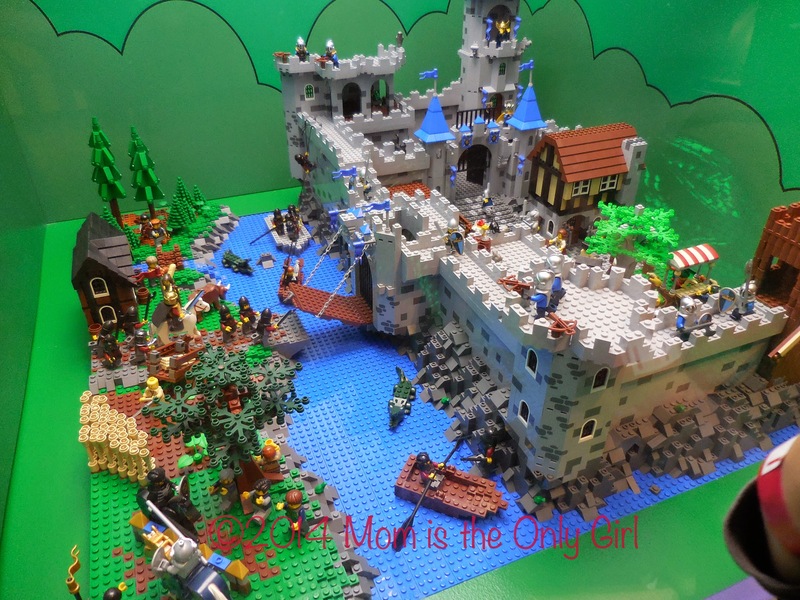 The LEGO Castle Adventure exhibit opened this weekend at The Strong National Museum of Play! In addition to that, there was a LEGO train set up on Saturday and Sunday, so there was no way we were hanging out at home on Saturday! This exhibit is remaining at The Strong National Museum of Play until February 1. 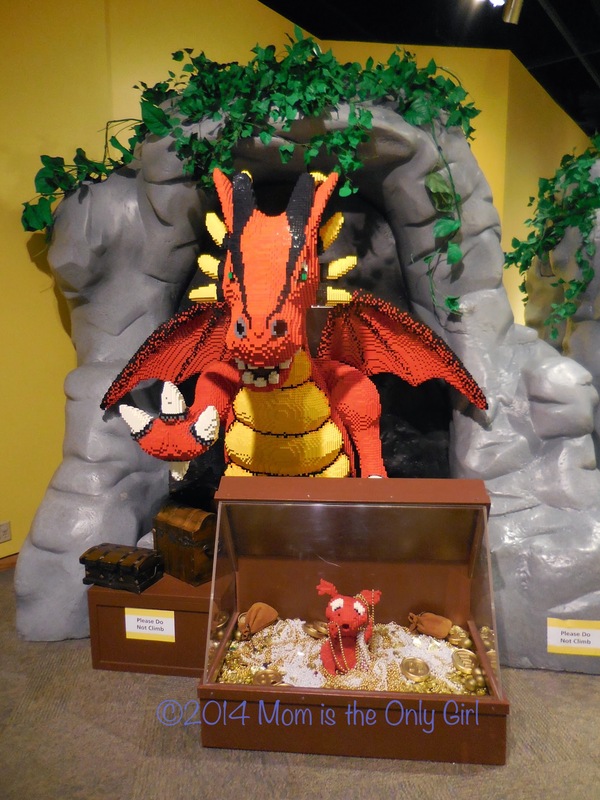 It was created by The Children’s Museum of Indianapolis in conjunction with LEGO. There are three building zones within the exhibit, for toddlers (with large, soft bricks), preschoolers (with Duplos) and of course lots and lots of LEGOs for the older crowd! You will find several models built out of LEGOs (protected from little hands) as well as a little history about castles. 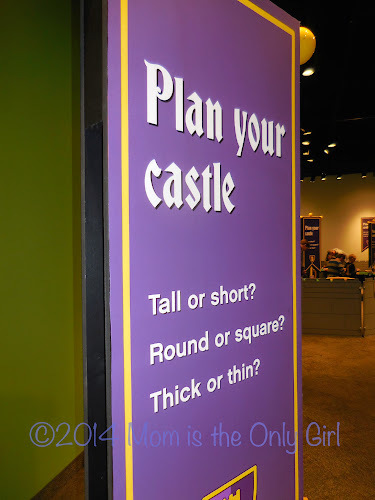 Other traveling exhibits from here have been so fun for my boys, and this didn’t disappoint. Instead of going into detail, I’ll share some photos. 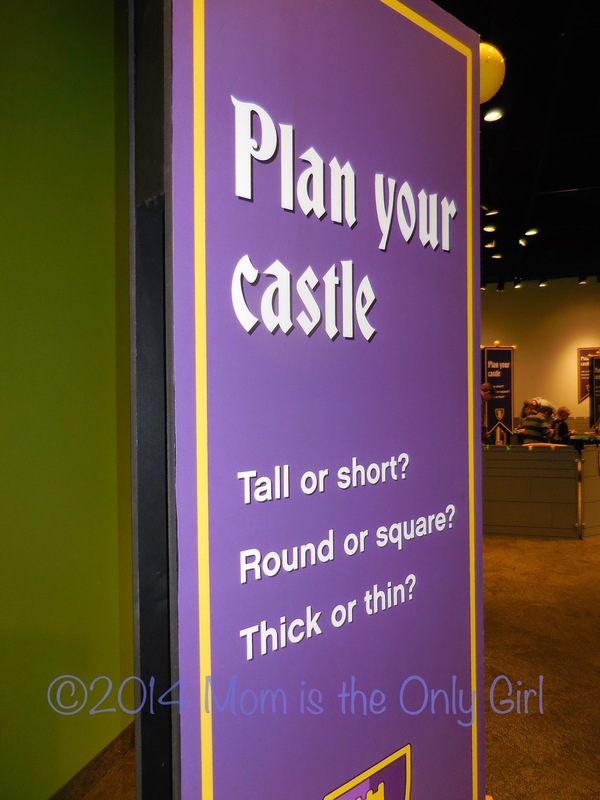 How will you build your castle? Amazing (huge) dragon made of LEGOs! Honestly, the only thing I can complain about in this exhibit is that there are not enough seats! It’s hard to bend over to build with the LEGOs at the tables, since I cannot kneel on my bad knee, and there were only a few benches that I saw! 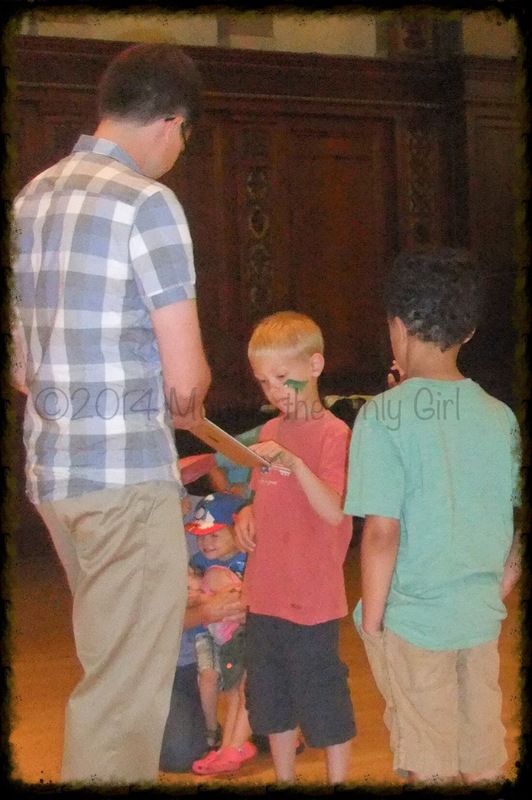 My tall hubby knelt the entire time the boys were building! 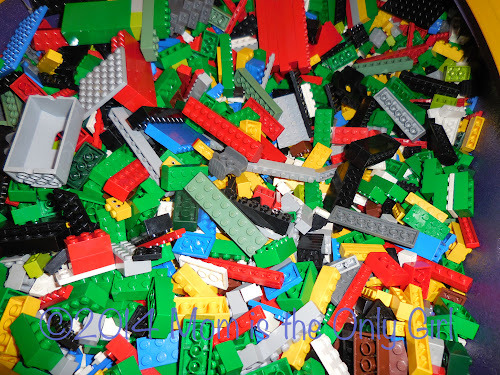 So many LEGOs in the building bins! 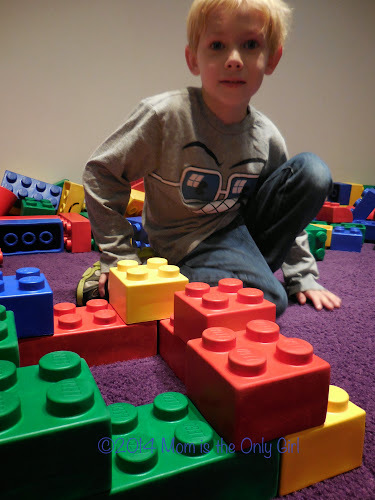 My boys love LEGOs of every size and so the hour we spent in this area was fantastic and not long enough for them. We, of course, went back to build some more after seeing the LEGO trains. What is your child’s favorite thing to build with LEGOs? Several years ago I attended my church’s ladies’ retreat and listened to a friend give her little devotional. I should say, I thought it was going to be a little devotional. What she said has stuck with me. My friend began by sharing how much the ladies at the retreat meant to her. How she had come to rely on many of us for deep conversations and then she hit us with a bombshell. She had not been completely honest with any of us for the previous month. I think none of us in the room knew what to think or say. She paused, seemingly for us to ponder what she said, but went on to say she had found a lump in her breast and didn’t want to believe it was even there until she knew what it was. She had lied every time one of us asked her how she was and said “fine” or “just plugging along” in attempts to block her reality from becoming truth. I’m glad to say she found out the morning she travelled to retreat that the biopsy was clean and she did not have breast cancer. So many women are diagnosed with breast cancer every day. My friend, Becky, is fighting it right now, as well as my friend Lisa. So is the wife of someone my husband works with, and a co-worker of my friend Jen. There are others, but I won’t mention them all. Some have a huge support network carrying them through this struggle. Some don’t and are carrying through this fight alone. Many survivors will willingly share their story if it helps even one person decide to get a mammogram or do a self breast exam, especially if the result is early detection. This month many clinics, hospitals and doctor offices are offering free mammograms to those who cannot afford one. If you or someone you know is fighting breast cancer, know there are places to turn to for support. A good place to start is breastcancer.org, the Susan G. Komen website, or check out the Noreen Fraser Foundation mentioned above. CYB is all about putting women into action about their breast health, giving them tools for early detection, prevention and self-advocacy. We give healthy women, from all walks of life, a fun way to learn what they can do to feel more in control and less in fear about breast cancer. We also give breast cancer survivors a place to share the stories that can save lives. Here is a direct link to their instructions for a self breast exam. My mom is a breast cancer survivor, so this cause is close to my heart. It is a disease that needs a cure, but if found soon enough many times can be treated. Please take a moment to get checked. It’s a gorgeous October 3rd. 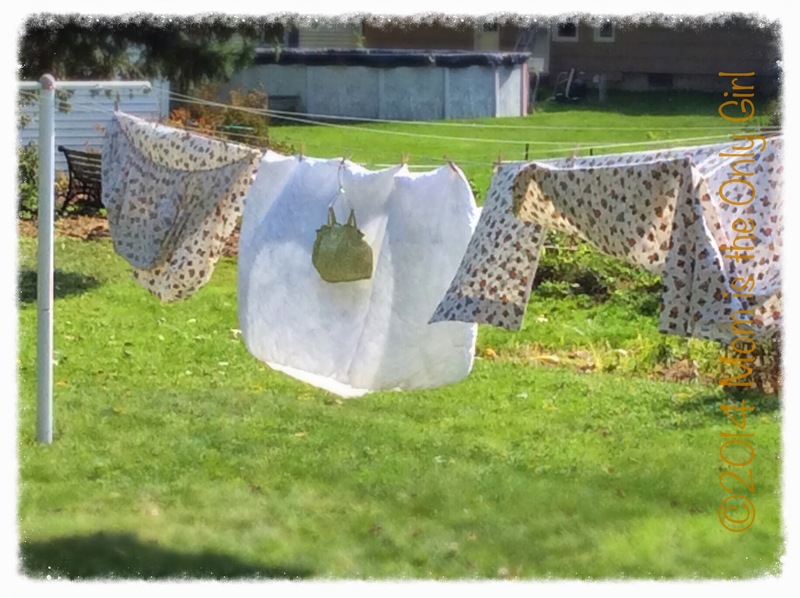 About 75 degrees with lots of sun and a warm breeze that is quickly drying my laundry hanging outside! It’s one of those days you just want to drop everything and spend outside watching the clouds…except there are no clouds up there! I’m sitting here typing and listening to the sounds of a distant lawnmower, a car or two driving by and the wind chimes blowing in the breeze. It’s so relaxing! Days like today remind me how thankful I am. I have two wonderful boys, a loving husband, clothes on my back and a roof over my head. A wonderful church family. Loving, thoughtful friends. The bright sunlight is on everything around me. A leaf is moving across the deck with that familiar dried up sound. I can feel the warmth on my skin and can look forward to my loved ones coming home to me in a few hours. All allowing me to concentrate on blessing my family by doing my ‘chores’. I had a nice chat with one of my friends this morning. It was one of those ‘mom’ chats, where you cram everything and anything in because you don’t have kids with you and you have a lot of words to use since you’ll be alone the rest of the day sort of chats. The kind that at the surface to an onlooker isn’t that meaningful, but the two engrossed in it get so much out of. Anyway, mostly we talked about how we have these lofty goals and expectations for ourselves. She mentioned how hard it is sometimes as a mom to know what is right in a situation involving our kids and gave an example. It was a particularly hard morning, her kindergartener missed the bus and through a series of events that followed just had a meltdown in the school office. Her little boy was just plain overwhelmed. She was just plain at a loss of what to do. So she did what she thought was best and now looking back on it she wished she had known to just scoop him up, take him home and give him her undivided attention because that’s plain and simple what he needed that day. 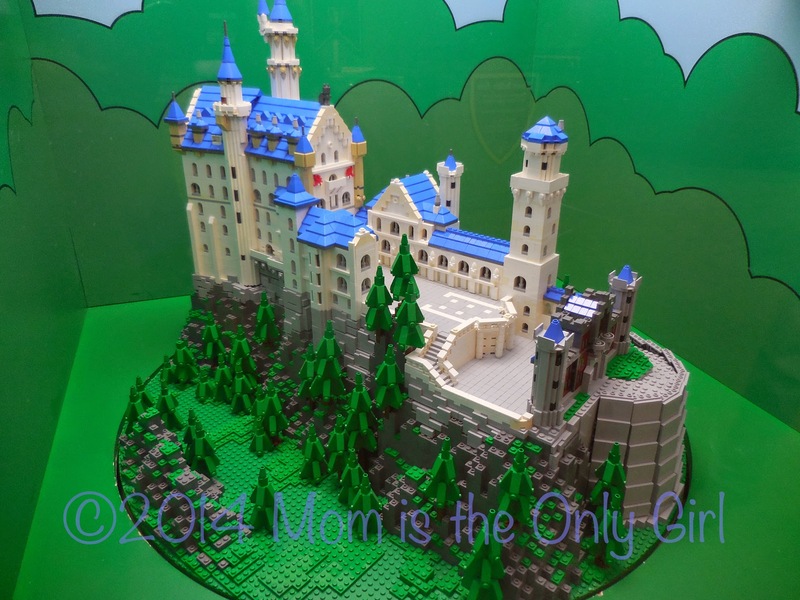 Sometimes life would be more simple if being a mom came with an instruction book and was all laid out with no room for deviation on our part, the part of our children or husbands or in-law or parents or friends…you get the picture. Like the book from the LEGO movie where President Business has everything written out for the people of Brickland. If everyone followed it life would be perfect. you. If you are beating yourself up because you feel you can never achieve this, then stop! We as moms are doing the best we can. You are doing the best you can. You are loving your children. We can all do better. But we can’t do better if we are always comparing ourselves to what might have been, what someone else is doing, or how someone else is able to do more of something we aren’t even doing. We have to do our own best. Some day our best will be even better than it is today because we will have gotten so much practice! Take it easy. Remember, it’s just a song. Someone else’s song that you can strive to claim as your own. 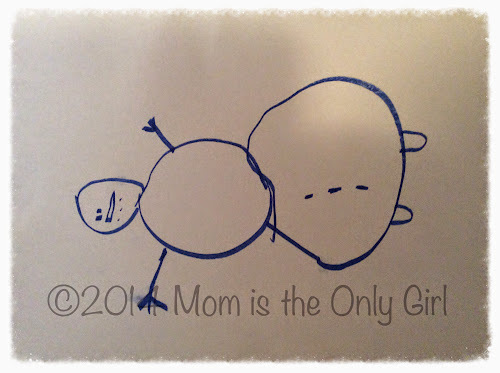 Today I sent my five year old off to school limping. I hesitated, but know his history of overreacting. I feel like a rotten Momma for not being able to discern whether he is truly in pain or just giving me a show. It’s so hard as Mom when the symptoms are just taking your child’s word for it. You don’t want to distrust them, but you also can remember how it was when you were a kid. The foreboding test anxiety, the girl who picked on you constantly but the teacher never saw it. 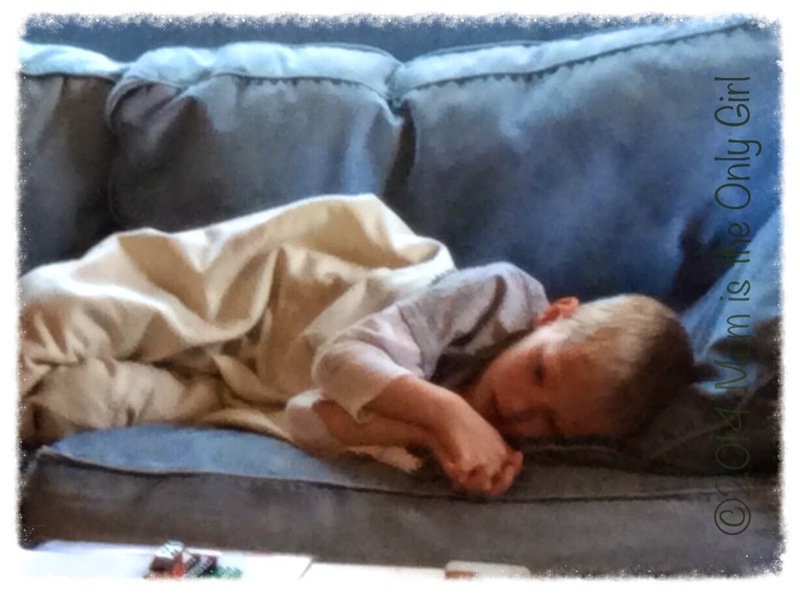 Maybe it was just being tired of the new routine…so tempting to stay home from school with fake symptoms. As moms we have the responsibility of sending our kids off to school (or keeping them home for school) to learn, to become who they are meant to be, but we also have the responsibility of making sure they are safe and healthy. Some days this is easier than others. Many have told me to just go with my gut sometimes. Others have said always send them to school and the nurse will send them home if they’re truly sick, providing they don’t have a temperature. Boy, sometimes I wish my insides as a mom could just settle on one or the other and go on with my own to do list. Deep down I’m glad I have this decision to make, that I have to discern whether the hurt is real, and that sometimes I have the ache of knowing I can’t fix it. I’m thankful for this family of mine. It’s just that when they hurt….. Happy Fall! It’s the first Monday of Fall! So hard to believe! 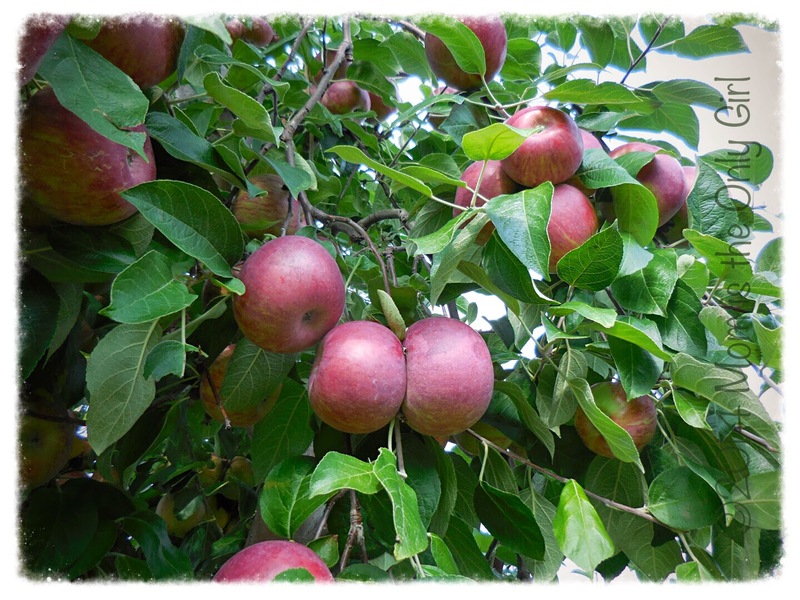 When it turns fall I think of cozy sweaters, nice warm socks, jeans and apples! Can you believe I’ve only gone apple picking twice in my life? I think that’s crazy for someone who grew up in mid-New York State apple growing country! I had so much fun! 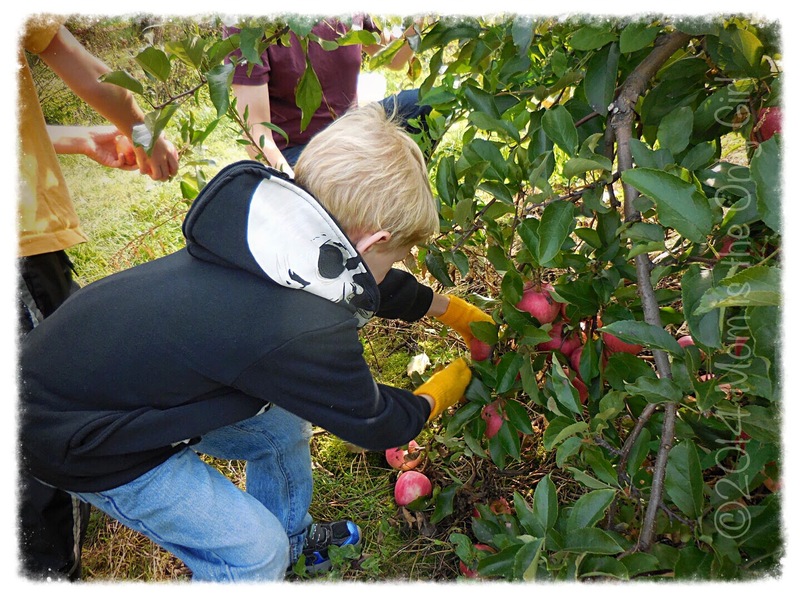 Have you gone apple picking before? 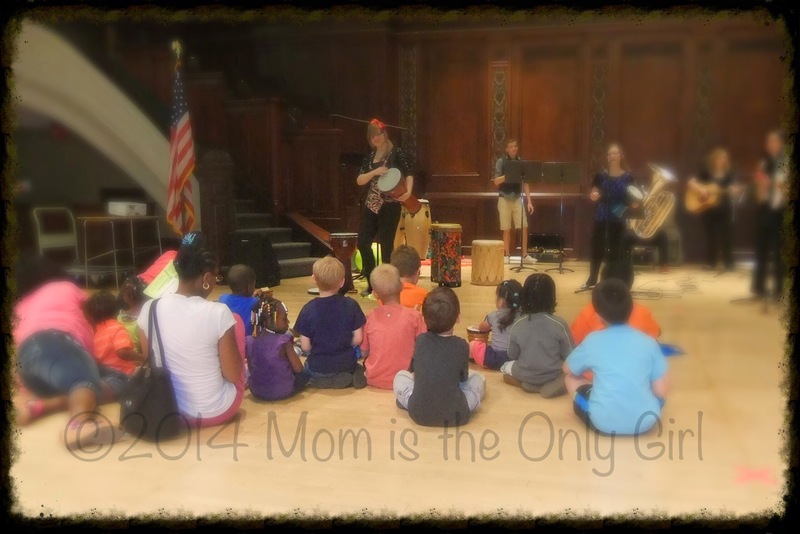 I was totally surprised my boys were so in to our little family field trip. They got right in there and chose good ones to pull off the trees. It helped that we chose a few trees with apples at their arm level. And the amount of apples…tons! I mean TONs of apples! 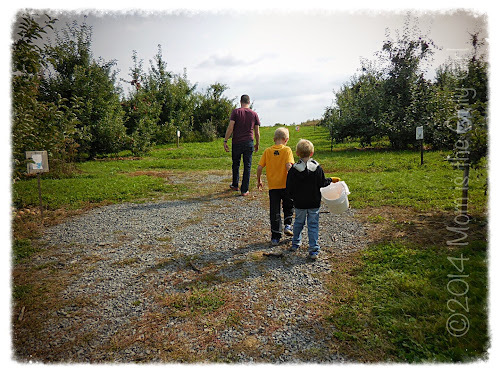 I admit I was a little apprehensive going picking with my 5 year old who many times wants ‘uppy’, but he did great even though we had to walk a ways in to the orchard to get to the current fruit-bearing trees. Hubby and I think this will be a new tradition…along with making oodles of applesauce, many dishes of apple crisp and apple pies! 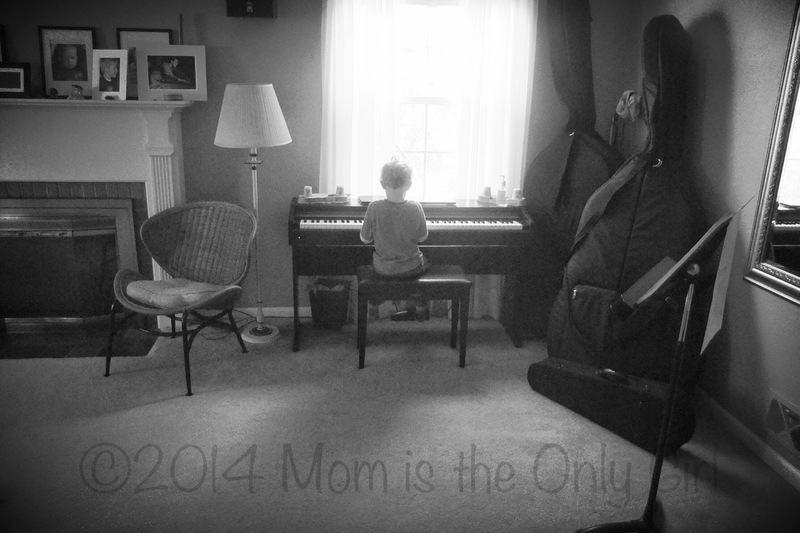 For the past seven years I’ve been a mom. That was my main occupation. I was no longer a Medical Transcriptionist, or a Women’s Ministry Leader. 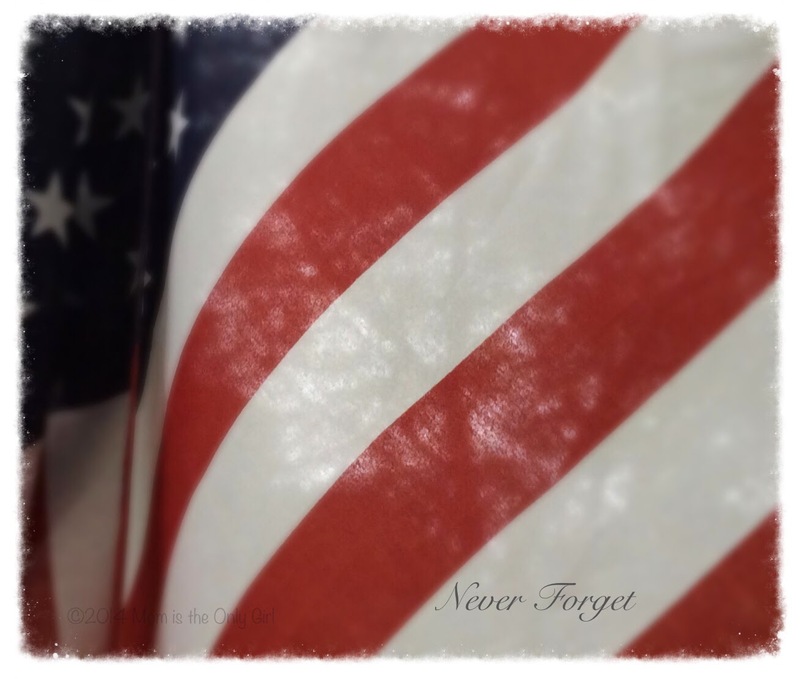 My focus was within my home, on my kids and husband. 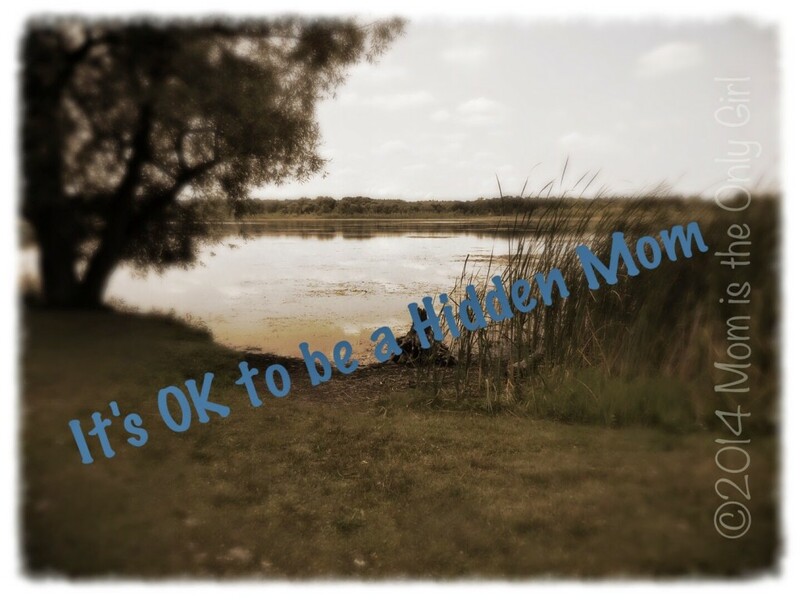 I was a hidden mom, as Emily Wierenga posting at The Better Mom calls it. I so needed to hear this today. As I blogged a couple of days ago about the opportunity I have to refocus, to actually take time and think about me, my aspirations and dreams I had a really difficult time. 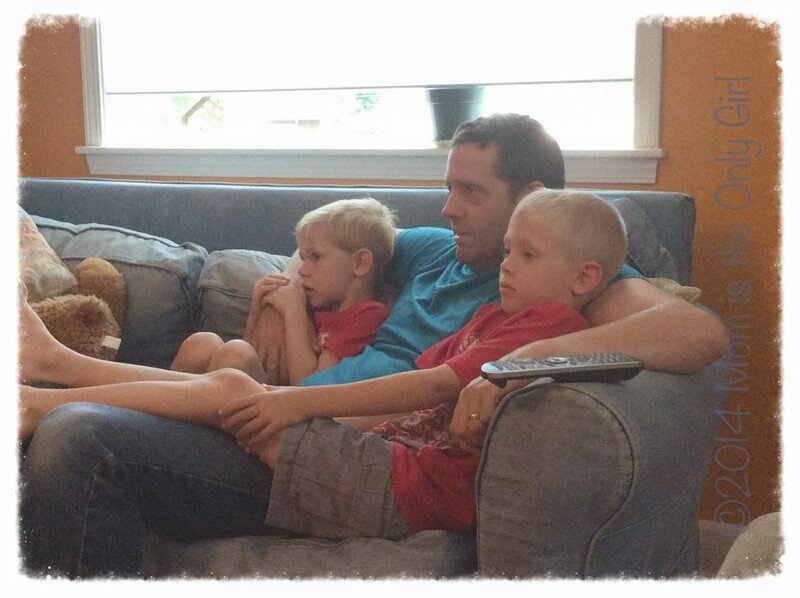 For the past seven years my life has been all-consumingly about my boys, my husband, my home. I have taken my role as mom to be a hidden one…encouraging, nurturing, supporting, correcting, molding, loving my family to their best potential. When you want your child to blossom you don’t want the attention. You want it all for them. You want to hide in the sidelines, rejoicing in their becoming who they were meant to be. That means wiping the runny noses, changing the dirty diapers, steering behaviors, and lots of prayers! Mostly, though that means none of your hard work is noticed. But take heart, God notices! Read Deuteronomy 6:4-7. To me those verses mean God gave me this responsibility of teaching my boys to fear and love the Lord, to obey His word. As a stay at home mom, this was my job. I’m thinking if God wanted me to do this, spending this time with my boys, playing a hidden role in their lives is something He would notice! I know my role teaching them has not ended, but has changed a bit. And in that changing, has allowed me time to reinvest in me. It is almost surreal to sit down today and share about how hard it is to switch gears and think about me. I mean, moms aren’t supposed to do that! Think about ourselves, our dreams…psh! Take care of ourselves for our families, sure, but dream?! Ha! Have you ever felt like you are just working on rote. (Is that the right word?) Just going through the motions and hoping your head will still be above water at the end of the day? That’s the best way to describe how I felt most days in the baby, toddler and preschool years. 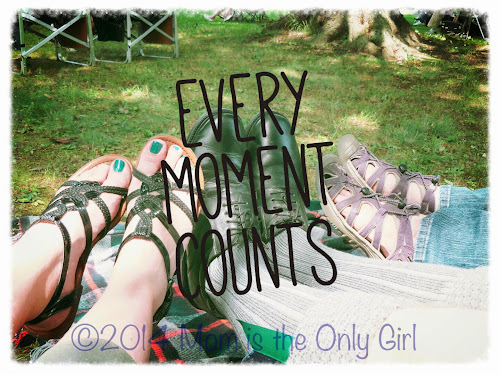 Now that school has started again have you had time to sit for a moment and breathe? To think about what you’d like to accomplish for yourself? You know, there is absolutely no harm in taking time to think. To truly think about yourself – your dreams, what you’d like to be, or what you’d like your role as mom to look like in the future, what you could work on to be that better mom. It’s OK if you feel you’re hiding, still! My two boys, ages five and seven, love to play outside whenever the weather is nice. 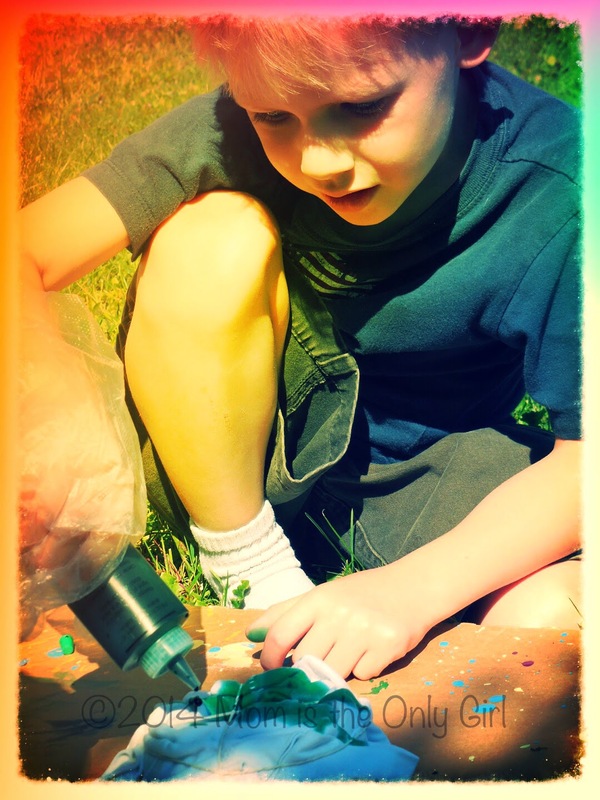 When it’s sunny it’s like a bonus – they get creative ideas all on their own for little science experiments. 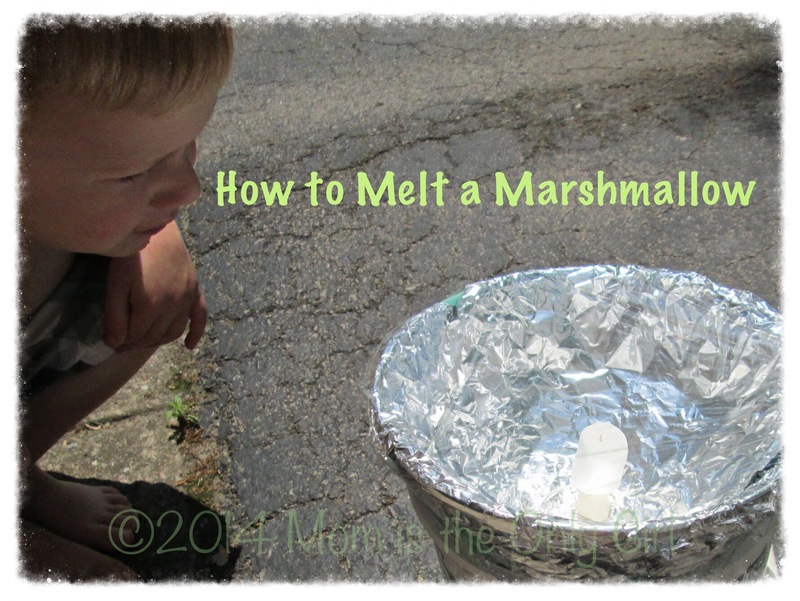 Now, this isn’t anything unique, and I’m sure you’ve done it with your kiddos before, but here is a quick little sun experiment to do. If you’ve done it earlier this summer, try it again now and see if your kids notice anything different! Our little experiment? Making a chalk sundial of sorts! 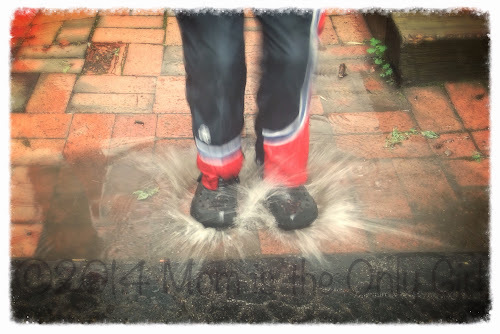 Just make sure to do it on a day you’re not expecting any rain or it will wash away your progress! When you wake up in the morning (with the sun shining, cuz if you have kids like mine they might be up before it gets light), or the first time you go outside for the day with your kiddos, simply have your child stand in one place and outline their shadow with chalk. Outline where their shoes were, too. The next time you think of it (it could be 5 minutes or 5 hours -like after school) have your child stand in the outline of their shoes. Then trace their shadow again. Talk about what you observe. If you did this earlier in the summer as well, talk about how their shadow looks now as compared to then. Keep outlining their shadow at different times throughout the day and talk about what you see each time. My kiddos really want to try outlining their shadows every hour on the hour sometime and see what the result is. When you try this with your child give them time to voice their observations. 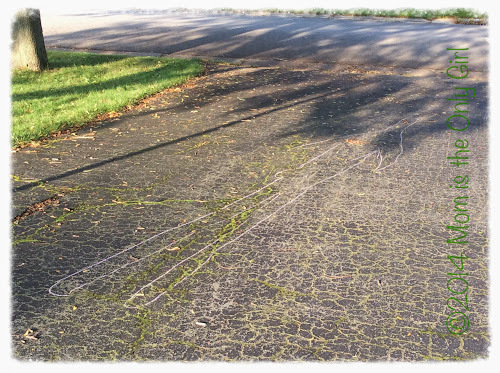 My boys noticed right away that their shadow was much longer today than when we did this experiment earlier in the summer at a later time in the day. You can ask questions like: Does your shadow stay the same size? Does your shadow’s head always point in the same direction? 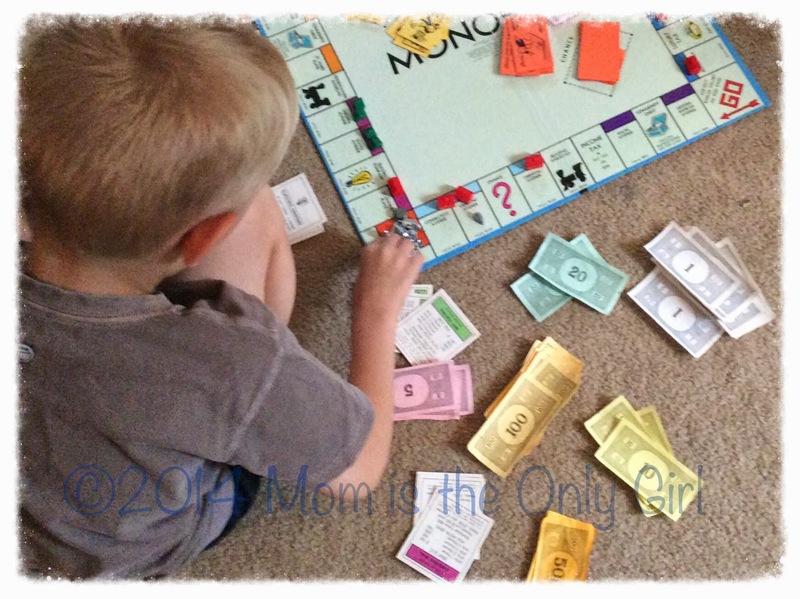 My last career has all but disappeared since I left the workforce seven years ago to have my oldest and started as a stay at home mom. Now I have the opportunity, and blessing of my hubby, to become whatever I’d like in my professional life. Of course, I will always be Mommy first! The big question is, What do I want to be when I grow up? I think other than be a wife and mom I really never knew! I’ve always done my exploring with the boys before, now I have the opportunity to focus on my interests! 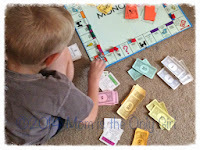 Up until this point I have always blogged with a concentration of activities with my boys. I think now is the time for change. A refresher. After only, this blog has sort of been a reflection of my boys growing up – the activities grew with them, so why not add their schooling and my growing into the mix as a new focus? I started doing this already, without really realizing it. I changed my blog’s look. Still had the more boy-ish colors, but on a more feminine layout. I’m in the planning stages of a whole new look, a new “brand” to go along with my striving for revamping me. Please note I didn’t say for ‘the new me’ because I honestly and sincerely know I haven’t ‘lost’ myself in this time of having young ones. We never lose ourselves when we become moms. We find we can dig deeper, love deeper, think deeper, become more deeply ourselves through the course of becoming moms. We realize we are the same, yet more complex as a mom, which might reveal new interests, new passions. It doesn’t mean we lose ourselves. And sometimes it takes time to adjust to all that time we have when our children are under the care of others. And that is ok. 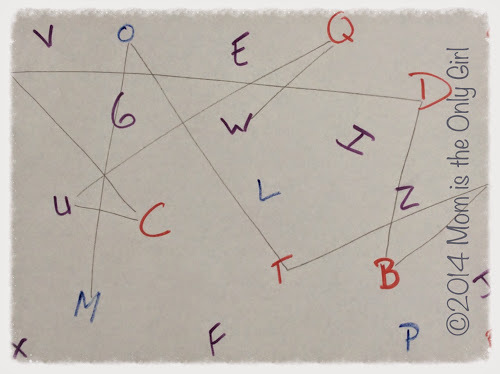 So, back to the blog, you may see the focus change a bit. From boys to moms of boys, like it did just then. Maybe some things I’ve been learning or learning about myself that might help you think through your process of realizing you. How my roles are changing now that both of my boys are under the care of others throughout much of their day, which may help you make sense of your roles as well. It’s all been forming in my head, floating around there for a bit and I just want to capture it, tweak it, refine it. I would love to hear from you in this regard – what you’ve experienced as your little ones have entered school, what you’ve discovered about yourself as a result. In light of this tell me, did you feel like a new you when your kiddos went off to school? Or did you feel like you were rediscovering the old you through a new pair of eyes? When was the last time you were present with your loved ones? I don’t mean in their presence doing stuff. I mean present, like taking it all in. Hearing the feelings behind the voices speaking. Smelling the aromas around you. Recognizing the feel of the carpet under your bare feet. 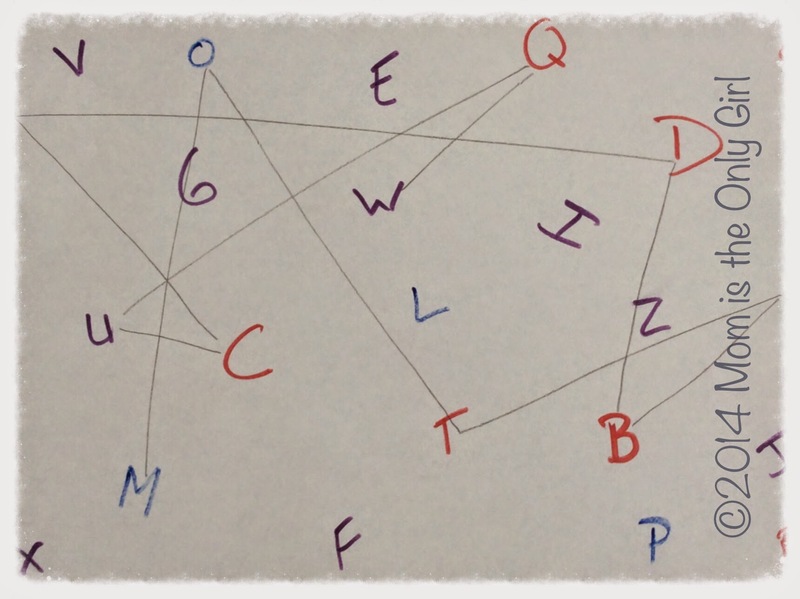 Truly connecting with those you were interacting with. Go ahead. Take a minute to think about it. Did that question conjure up images of you texting or playing games on your computer while with friends? Or did it warm your heart because you instantly remembered the long, deep-felt conversation you had with your child last night? How often do we go about our days taking life for granted, rather than living in the present, truly loving those around us.. I know for me it’s sometimes so easy to do two things at once thinking I am paying close attention to my boy who is asking me for something while typing away on the computer. But, in doing that I’m taking for granted he’ll be here tomorrow, or in 5 minutes. I’m not being present. Last month my youngest fell off his bike, suffering a concussion. the doctor told us it could have been much worse had he not been wearing his helmet. Thirteen years ago many went to bed thinking the next day would be the same old same old, but are remembering loved ones who are no longer with them now. It’s so easy to get caught up with life, with electronics, with the digital options we have, that it’s so easy to forget about living in the present. Being truly thankful for what and who we have in our lives. My challenge to you and myself today? Stop and truly take in being with someone, whether in person or on the phone. Pay attention to what your senses are experiencing as you do and make it a good memory, not just ‘that time we talked’. Take time to be present. 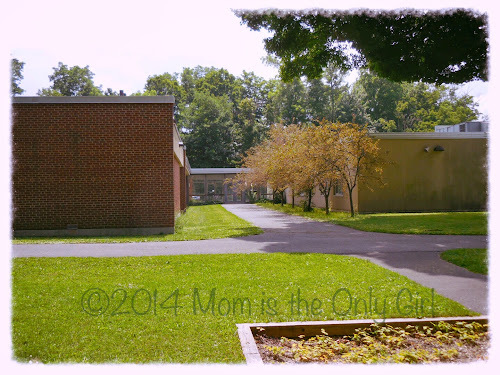 Have you ever had the opportunity to go back and visit your elementary school? When visiting my hometown last month we checked out the playground at my old school. Its closed down now. The district is shrinking so the school is no longer needed and it looks as sad as the situation is. I stood at the playground with my brother and husband as the boys played, but wasn’t really engaging with any of them. Memories filled the space I needed to interact with them fully. The school itself hasn’t changed. But I have. The trees lining the sidewalk into the glass foyer are smaller. I’m just bigger. The windows appear to reflect the outside. As a student they were only a barrier between me and the freedom of a swing. I see the shell of my old school, beginning to show it’s neglect, and I am keenly aware of how much I cherish the influence my grade-school years had on who I am today. Being there brought back to mind teachers who had such a great impact on my life. They molded me slowly, gently every day I was in their presence. Even last year I happened to come into contact with one. This was a teacher who I hadn’t particularly liked at the time, but looking back I see how her sternness and discipline is revealed in me. My ‘fear’ of her helped make me who I am today. And I thanked her for who she was and the memory she left in my mind. I am praying the teachers influencing my boys will have the same impact on them. No words can express how much family means to me. This past month the boys, Hubby and I enjoyed a family reunion weekend for my Grandmother’s family. 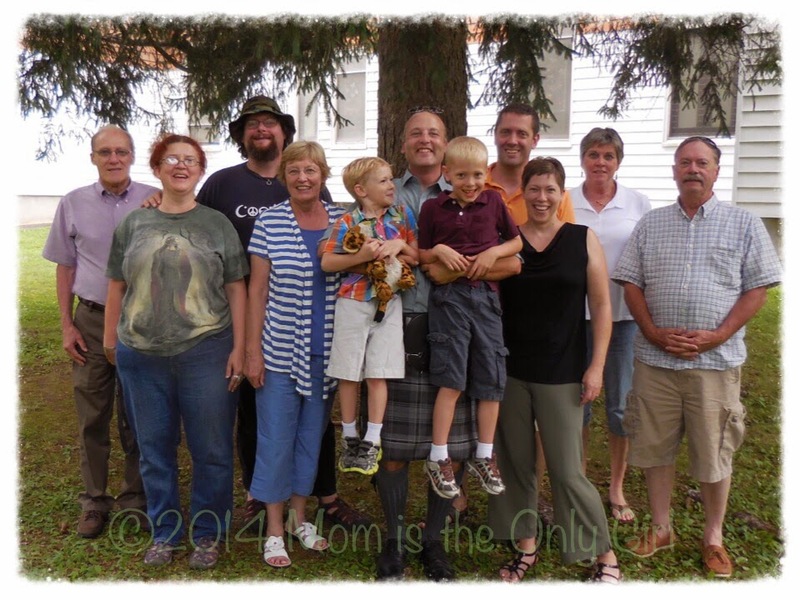 It was also a family reunion for some of the most important people in my life. We enjoyed the company of my father, but also my sister, my brother and my Aunt from California and my father’s brother and his wife from North Carolina! I’m so thankful for family. Even when we don’t see each other as often and aren’t as close as most families, we carry that title of Family. And for me, family equals love. I am so very thankful to have had this weekend, and the few precious hours spending time with some of the most important people in my life. We have a Summer tradition of making tie dye shirts for our family to wear on our summer day trips. Usually we make them at the beginning of the summer, but Hubby was busy with lessons right after school let out, so we decided to delay it until our family summer fun started when his lessons were over. 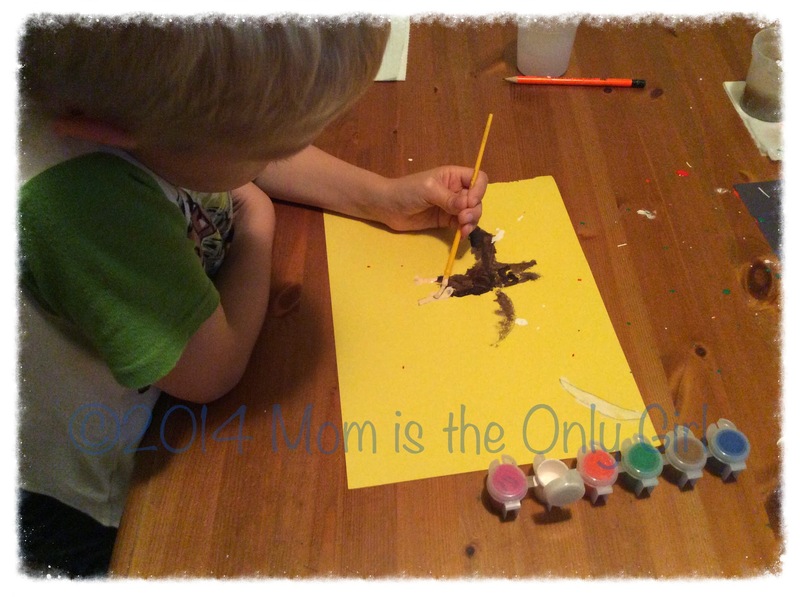 It’s always fun engaging in this family tradition with the boys – you never know how messy it will be! The colors blending always fascinates five year old Sweet Pea! I love that we sneak some science in there without necessarily intending to! Wearing similar shirts has always been our ‘thing’ I guess, but it really makes it much easier to spot each other in a crowd! It doesn’t feel quite so uniform-ish if we are wearing something we created ourselves! 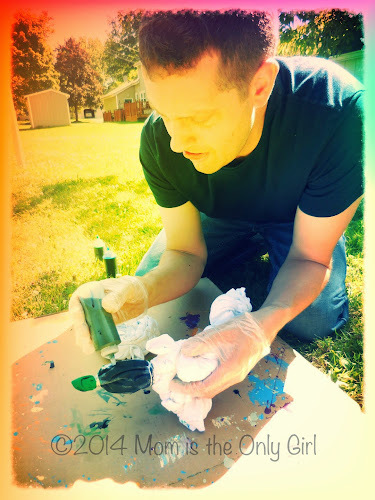 Hubby and I try to make sure the colors used on a each shirt are the same, but leave the scrunching, folding and squirting up to each child. They actually asked to make more this year! I know it’s Fall now, but do you have any summer family traditions we should try next year? 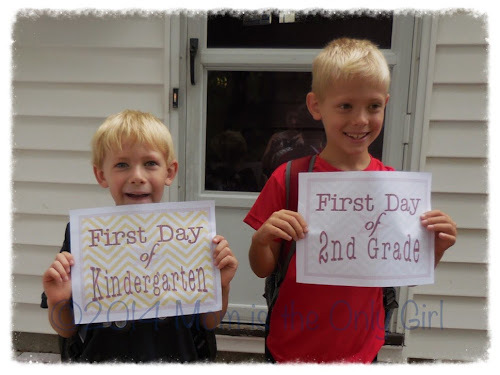 I feel so behind the rest of the blogosphere with my boys heading off to school this morning, a few weeks behind some! (but remember, my kiddos didn’t get out until June 26th!) Anyway, with all I’ve posted about five year old Sweet Pea’s separation anxiety, I thought I’d share how he did going off for the first time on a bus and to school. 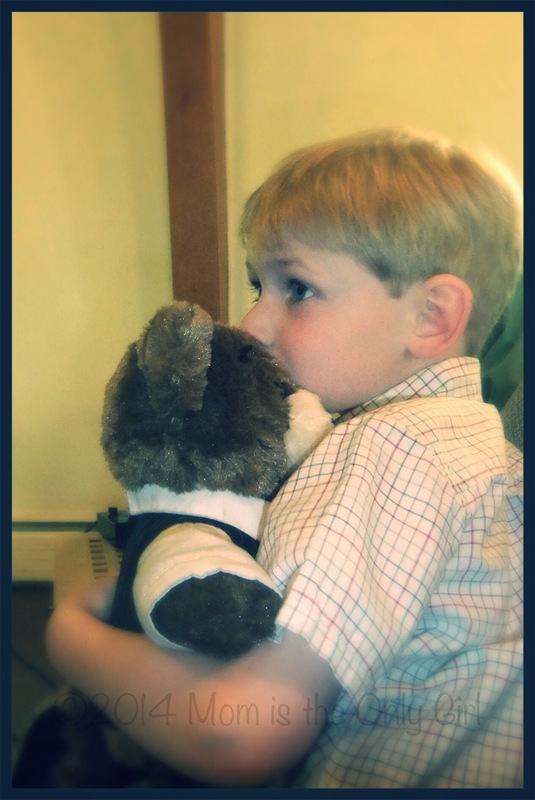 I think, considering his seemingly severe seperation anxiety last year lasting until the very last day of preschool, that he did pretty well. He really only hesitated for a minute before heading off on the bus! We had mentioned it here and there in a very positive, but reassuring way over the past two weeks. Cutie Pie joined in saying how much fun Kindergarten is and sharing stories. We didn’t push him too much, just reaffirmed his feelings when he expressed doubt and moved on to something more positive. This also allows students to meet their teachers. In our district there are several classrooms for each grade, so some might also be meeting other students in their class for the first time. We all know the anxiety of ‘will any of my friends be in my class?’ That comes with any age. Kindergarteners especially benefit from this open-house time. Sweet Pea was able to go into the classroom for the first time with us to meet his teacher, find his seat, and explore his new classroom. I think this relieved his anxiety quite a bit, although it didn’t disappear totally! Another thing our district does is have a bus night for all incoming Kindergarteners. We were able to go with Cutie Pie when he entered Kindergarten and it was great! He learned how to behave on a bus, how to cross in front of one and all the rules and laws concerning bus safety. Having a very fun first bus experience really made a difference that first day when he got on. Now, we’ll see what all he has to say about this when he comes home. I’m hoping fresh-backed oatmeal chocolate chip cookies will entice him to talk about his day! 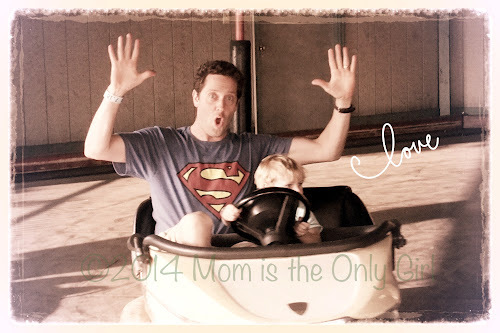 I was going to sit down last night and write a fresh post all about my Hubby. Instead, I spent time at Urgent Care with Sweet Pea, followed by the ER with Hubby joining us. Sweet Pea had a little biking accident. He’s OK now, a mild concussion and a couple of stitches, but that’s for another post.So I’ll keep this one sweet and simple. Twenty-one years ago (earlier) today I married my college sweetheart and best friend. I am forever thankful I did! I love you, Hubby! And I live for every moment I have with you! Thank you for loving me! There is an affiliate link within this post. I would not linking to a product I did not love. If you happen to purchase something after clicking on the link, it will be at no additional cost to you. 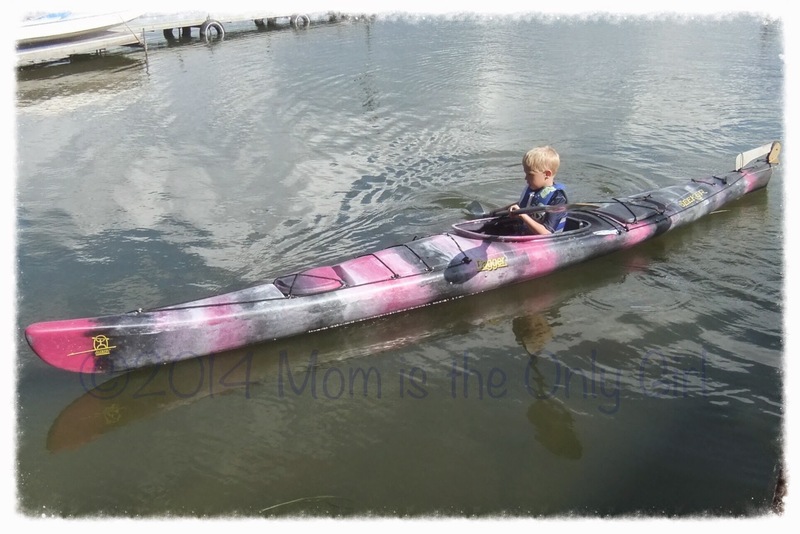 Have you checked out the Summer Survival Series for Moms of Boys over at The Joys of Boys. If you haven’t already, go check it out or check out the Summer Survival Series pins for Pinterest board! Tons of ideas – and not too late for you to try some out before your little ones go back to school in a few short weeks! This week in the Summer Survival Series it’s all about science experiments! I’m sharing one we did a couple of years ago, but we did it again! I thought maybe my boys had forgotten. I should have known they’d remember! They had the same hypotheses this time, which were tested and confirmed the results from last time, which is always good when repeating an experiment! If you remember, last time we pulled out this experiment because Cutie Pie was noticing how much cooler he felt when he went into the shade and then again when going into the air conditioned house. I asked if he thought something could be cooked in the sun and that set the whole experiment up with excitement! At the end of 15 minutes Cutie Pie observed the marshmallow appeared to be sliding down on the toothpick. The bowl felt very warm. He then carefully removed the cling wrap and found the marshmallow felt warm as well. 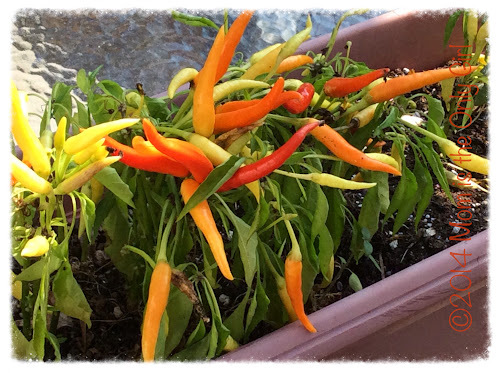 (I did touch it first to make sure it would not burn my kiddos.) Sweet Pea said he wanted to touch it, so he did and then he ate it! (Not exactly planned!) After several questions for Sweet Pea, we determined the marshmallow was warm, but not hot. It was soft, but not completely melted. Let us know what your hypotheses were and what happened to the marshmallow! And check out these other ideas!! Sweet Pea found some paints we hadn’t opened yet, so we painted the other morning! Sometimes I gotta run with his ideas for activities rather than introduce them on my own. I’ve found this gets him more involved (and for longer) than if I had suggested it. Sweet pea at one point was using the pointed end of his paintbrush to draw designs in his painting, so I pulled out the utensils and showed him how he could use a few and then sat back. He loved making designs with the fork! Cutie Pie has had art class at school this past year, so got right to work drawing an outline of Toothless, then filling it in with black paint. It’s been a while since I saw him paint and he has definitely improved. His tactics are different, now, too, starting with drawing, then trying out shades of paint and a little technique work on his paper towel before beginning. This was a great way to start our day. 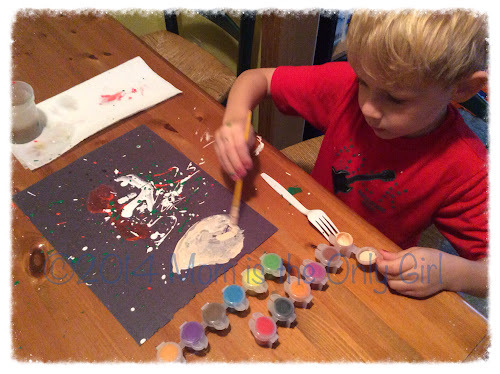 In the past I pulled out the paints or finger paints when we needed a mood change. Looking back on how the day went, everyone definitely stayed more positive for longer! I have to wonder if it was in part due to starting the day in a creative, more sensory way. My boys have really fallen in love with the Frog and Toad books by Arnold Lobel. 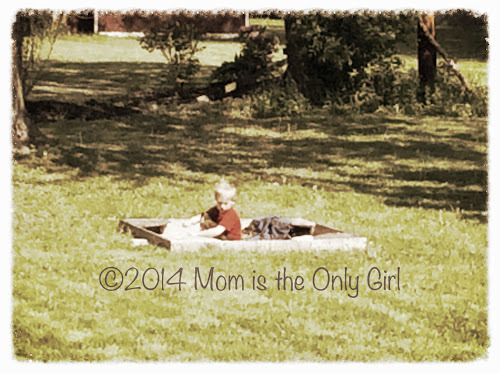 There is one story Cutie Pie brought to life in May when he, Sweet Pea and their daddy planted the garden. I almost totally forgot about this until I ran across the picture the other day. I just had to share! 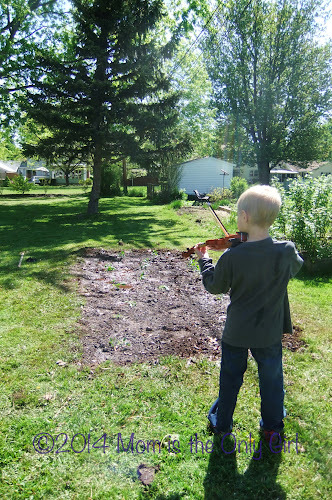 The story, The Garden, is such a sweet story, and Cutie Pie acted out every part, including playing his violin for the seeds, just like Toad in the story. It was so sweet! So this week has ended up being mostly about our little five year old Sweet Pea in many ways. 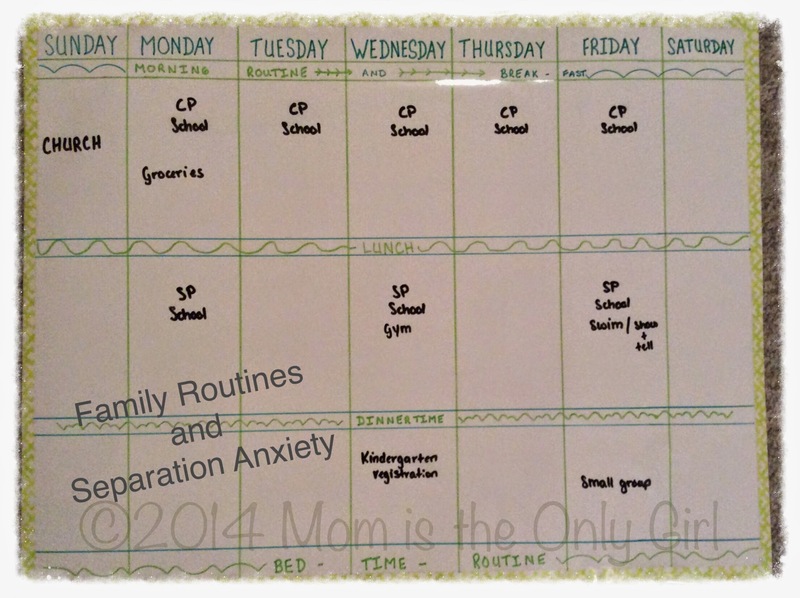 Yesterday’s post hinted at our family routine and how that helped relieve some of Cutie Pie’s stress when he was younger. I thought I’d share about that today, in hopes that maybe it is a tool that will help in relieving your child’s seperation anxiety a little. 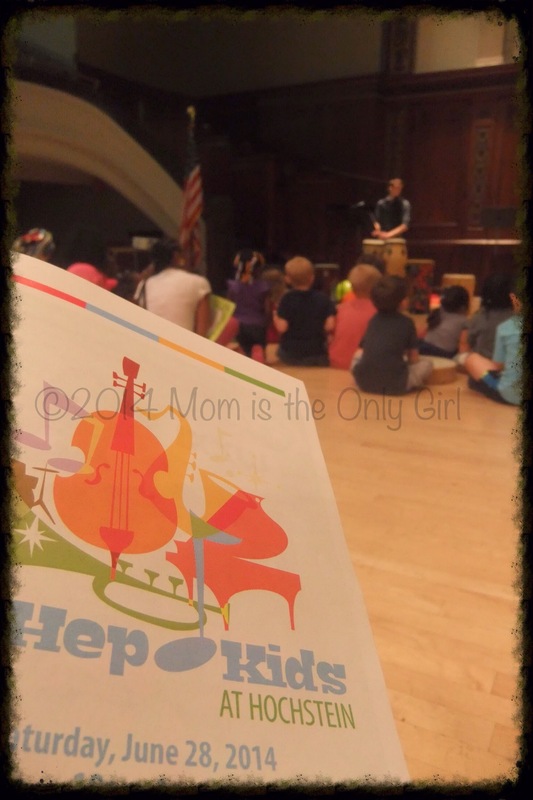 Shortly after Cutie Pie was born seven years ago, I was given a book (wish I could find the title) that had helped me understand that my baby had a rhythm. Before I was given the book to read I was always trying to figure out what he needed when he cried and he almost always latched on because it was a source of comfort. I felt like he nursed all. the. time. I felt trapped. That’s why my friend let me borrow her book (which she doesn’t have anymore and it was so long ago I can’t even remember what it looked like!) After I read it, I realized Cutie Pie was happiest when he would wake, nurse, play, then sleep. Almost always in that order, except when he woke in the middle of the night, in which case he would fall back asleep and not play. Hubby and I rather unconsciously integrated this into our daily lives, making it more or less a daily rhythm. It didn’t hold us back from our lives, rather helped us live them more prepared to bring a baby along for the ride! As Cutie Pie got older this rhythm of course changed, but repeated itself when Sweet Pea was born and changed along with him as well. Basically when everyone was eating solid food and napping (or not napping) we still followed a basic rhythm of waking, eating, playing, eating, playing, napping (or quiet time as they got older) eating, playing then bedtime. 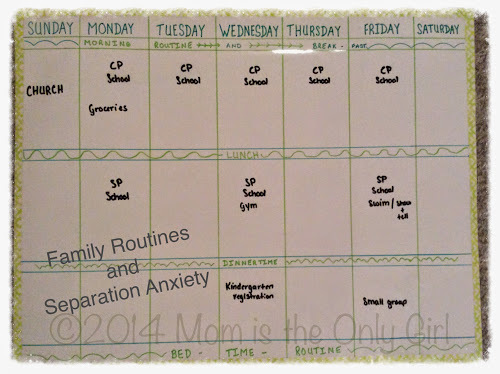 It’s still a rough outline of our days, our basic rhythm or routine. We noticed on several occasions, when the napping was dropped, that Cutie Pie would become very anxious, would act out or overreact to things we thought were very simple. After noticing this a few times it dawned on us that we had adapted a family rhythm to our days and straying from it too much was making Cutie Pie anxious. Once we started preparing him for the occasional breaks in our rhythm simply by explaining to him what we were going to do a while before we did it, Cutie Pie hardly acted like this! It was like he simply needed to be ‘in the loop’ in order to adapt to the change and be less anxious. To an extent, Sweet Pea is like this as well, although his ‘acting out’ is much different. He gets very chatty and starts asking tons of questions to keep us engaged with him. During the school year we use it mostly for lesson times and evening activities like concerts. During the summer we have camp, lesson times and hubby’s work schedule written in, since his work schedule in the summer is different. Cutie Pie can read and therefore knows a basic idea of what is going on each day. Even though Sweet Pea can’t read, he still sees things written in and knows something will be taking place. I simply update it weekly when I’m reviewing my own plans for the week. I’m starting to use a different color for each person in our family to help Sweet Pea even more. Overall, I think most people have a basic daily rhythm. You probably do, too, even if you haven’t stopped to think about what it is. From what I’ve read a lot of children do as well, even if it isn’t in sync with their parents’. Sometimes integrating those rhythms, or making those rhythms visual somehow, may help a child know what to expect next, and therefore will decrease their anxiety. It might also help them to be less anxious when you drop them off to camp or school, if they have seen it all laid out in a basic rhythm and know what to expect. Believe it or not Sweet Pea’s seperation anxiety seems less when he knows to expect going to camp than when we spring a trip to the store on him! I can’t imagine what he’d be like if I suddenly told him we were leaving and tried to drop him off! 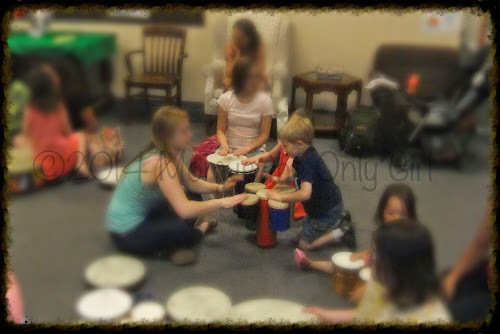 What do you think about family rhythms? Do you notice your family having one? Sometimes I feel guilty just watching my boys play by themselves. I mean, we’ve all heard it, ‘Enjoy this time when they’re little. It goes by so fast!’ And lately it seems I don’t have ‘play’ time with them as often as I’d like. Mostly because they want to play on their own. Or, as they’ve told me, I don’t play the way they want me to. On the other hand, they need time to play by themselves, to figure out who they are, what they like. Playtime with others offers some things, but alone is an entirely different animal. Sweet Pea is so clingy sometimes. Other times he wants me around to watch him. Still other times he asks me to not watch him play. 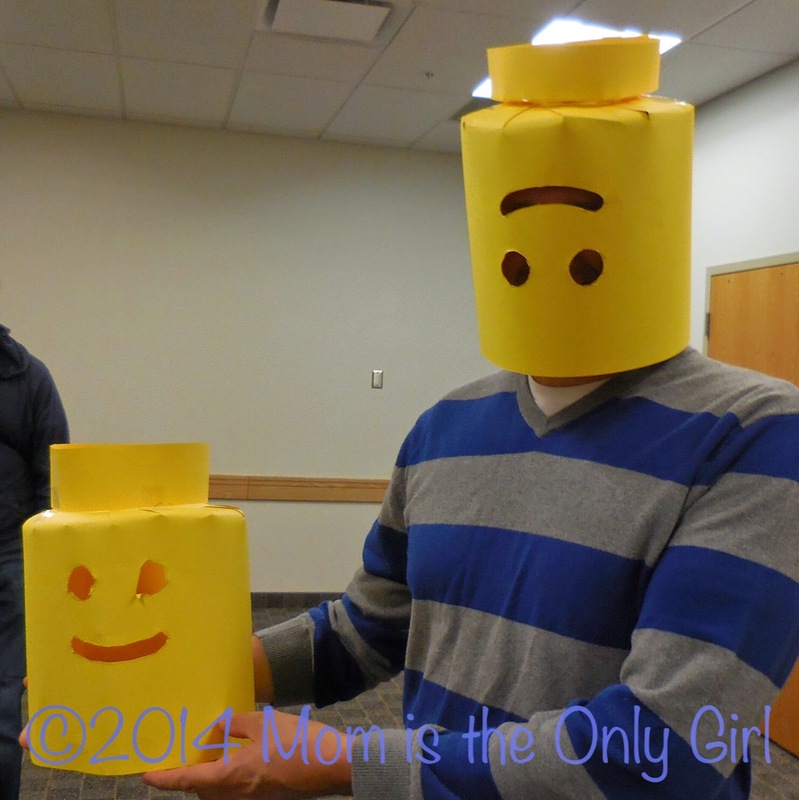 Other moms assure me this is a normal 5-year-old thing and nothing to do with me as a person. Don’t get me wrong. I’m enjoying watching him grow into his own self. He is, after all, an individual. He’s not like me in so many ways, but in so many ways we’re the same. I guess I’m just sitting back some this summer, as you can tell by the lack of posts since school got out a month ago. I’m enjoying my boys. Watching them grow. Trying to figure out what makes them tick. Still, sometimes I feel guilty watching them play by themselves. I want to be in there with them. 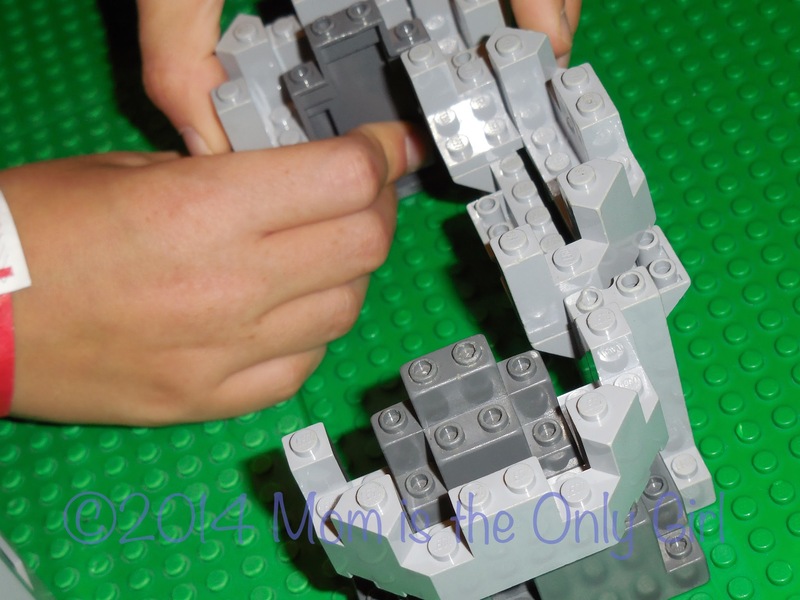 Exploring, building, talking, hearing their hearts. 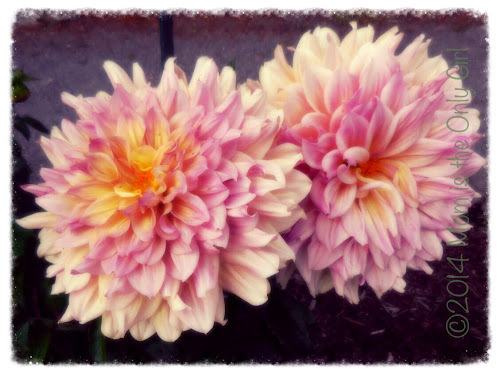 Giving them space to grow…and wanting to hold onto them forever. In light of my post yesterday about Sweet Pea’s continual questions, I started to think about what I was like as a five-year-old. It brought back a lot of my childhood memories. I remember one time finding a toy in my mom’s closet. It was meant to be a gift for a child of her friend, but I just had to play with it. My mom let me. My neighbor, Rick, used to lift me upside down so I could ‘walk’ on the ceiling. I must have been four or five. I remember what everything looked like upside down. And I remember how special I felt, that he would pay that attention to me. Mom used to go grocery shopping with Gen, Rick’s wife, and I vividly remember sitting in the backseat savoring a chocolate candy bar. I must have really been taking my time eating it because as we neared the house I was urged to eat it quickly so my brother and sister wouldn’t see it. I wonder if this was a regular shopping treat? There are so many other things that flit through my brain from when I was little. I’ve been told that I remember a lot. Details. Emotions. I’m wondering if Sweet Pea will remember all of the questions he asks and the answers he receives. He’s soaking up so much information. How much will be called upon when he’s older? How much are you thinking about your child’s memories from this age? Are you striving to give them good ones to share with their kids? I remember when my nephew was about two and a half. I had so much admiration for his dad, always answering the ‘why’ question a zillion times an hour and was ever so patient. Five year old Sweet Pea has been asking his own share of questions lately. Questions that would make you assume he wasn’t listening. Questions that are persistent and sort of drive you crazy. Some days it is really hard to stay calm like my brother in law when the questions come like rapid fire. And it’s not just that he’s asking so many questions a day a minute that’s sometimes so tiresome. It’s that he immediately follows my answer with another question about the answer’s validity, or he fires off another question. Its amazing how children can switch topics so quickly. Sometimes I find myself completely bewildered by the change in topic that I don’t have an answer right away, which, of course, prompts another question. And if I turn the question back to him? Well, let’s say he’s pretty creative at rephrasing his question again, after figuring it out on his own most of the time, just to make sure he was on the right path to the answer! Some days it’s so hard as a mom to stay patient, calm, and listening so completely to my child’s heart, rather than to his words, so I can show him the love he needs to hear in my words in return. He’s inquisitive. He’s soaking up everything I say, and probably the way I’m saying it, too. He’s learning more than just the answer to his questions every time he asks one. I continually try to put myself into his little world, to understand what he’s trying to figure out. To explore everything again from his point of view. To scrutinize my words to see if they are words he knows and understands. I try to explore his surroundings, the item he’s asking questions about. I try to imagine every little aspect of whatever has him intrigued so I can anticipate the next question or possibly figure out what has his curiosity piqued. 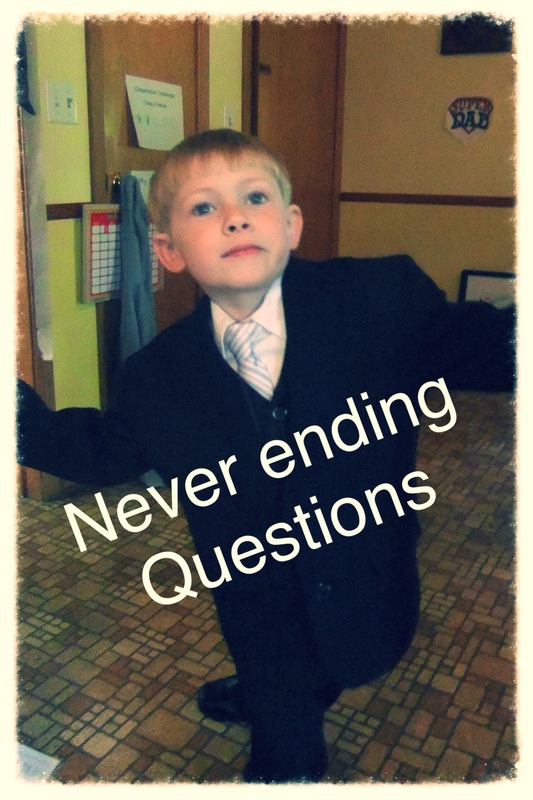 My boys never really went through the ‘why’ phase, yet I distinctly remember Cutie Pie going through this question phase when he was about five. And I remember how it tired me out then, too! Are you in this phase of life right now? How do you get through the endless barrage of questions? How do you keep your stamina up? I know I might be behind in things, but if we’re being honest, I’m willing to bet I’m not the only one who hasn’t dealt with the school papers from this past year. It’s one of those things that’s been eating at me, along with a zillion other things that I know I should get done. 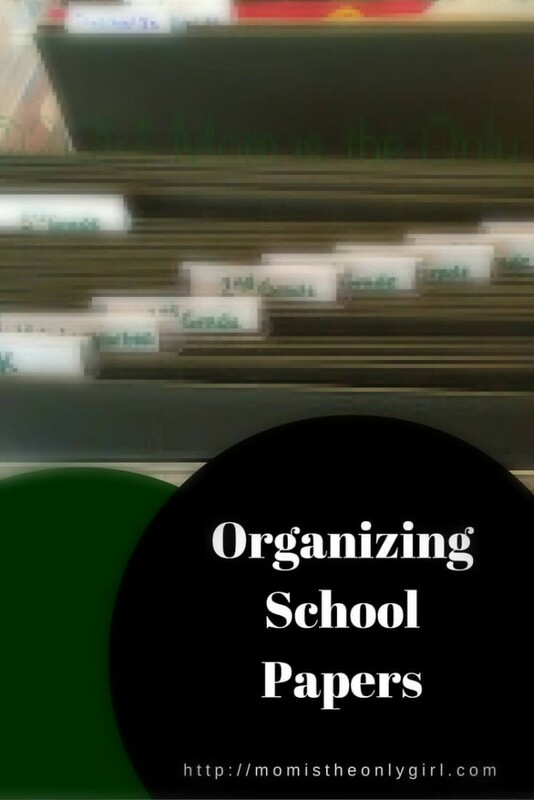 To make a long story short, this organizer had a brilliant way to organize school papers. At least it seemed that way to me! 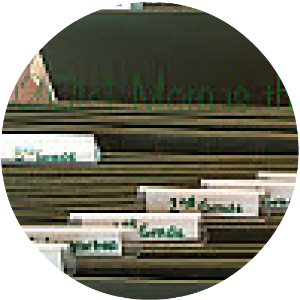 Simply take a Tupperware hanging file tub, insert hanging files, each labeled with a school grade, and there’s a quick, simple organizing system for the best of the school papers! And for artwork that is too large, but should be saved – an art portfolio envelope! How simple! Now, if you’re me, I will be saving more than just a few papers for each child. 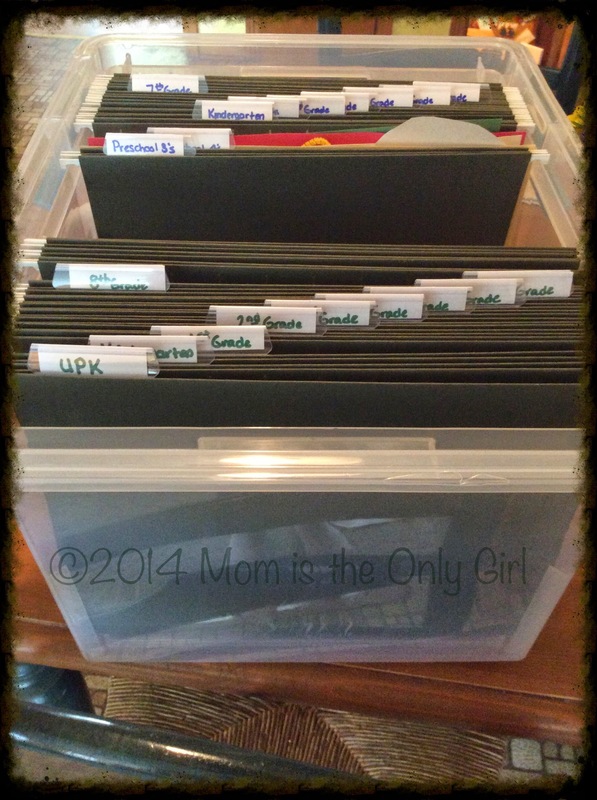 If I can’t pick just one or two from each month, or too many to fit in the hanging file, I will just add another hanging file folder! At least, that’s my plan! I whipped one of these handy boxes in about 15 minutes this weekend. I used the Sterlite air/water tight storage box was $11.99 at Target (although on-line it is $12.99) and the hanging files were $5.99 there as well. I’m making another box this weekend, so both boys have one! *The links to products in this post are for reference, and are not affiliate links. **Update: This system works GREAT as long as you stay on top of going through school papers daily, then at the end of the year sort through the papers you’ve saved once more and keep only the best! A friend brought her pet parrot to church yesterday. 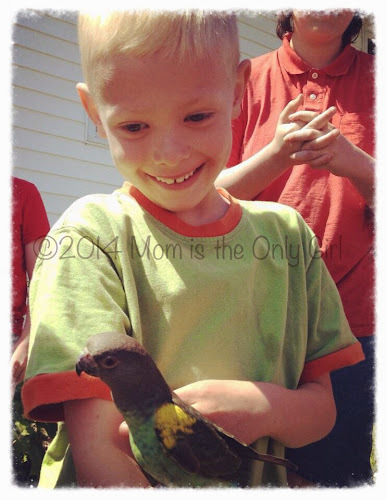 She invited the children outside afterward the service to meet Aries, a very colorful and friendly bird. Such a treat!Five year old Sweet Pea enjoyed seeing Aries and was very gentle stroking it with only his pointer finger, just as he was taught when meeting an animal at the zoo a few weeks ago. He was a bit scared to do much more than pet it and look at it. He did ask a lot of questions, and listened to answers of others that were asked and was able to tell Nana all about it later in the day.Cutie Pie, on the other hand, overcame his initial fear and put out his finger, in just the way Ms. A. instructed him. The bird stepped carefully onto his pointer finger and Cutie Pie’s face grew into a mesmerized smile! Aries perched there for a moment, then climbed up his arm a few steps. 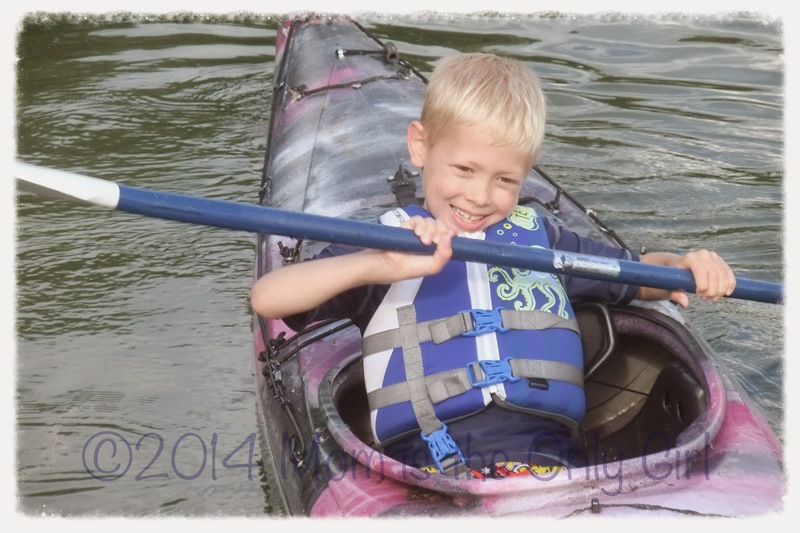 Cutie Pie was brave, gentle, confident, and so glad he stepped a bit out of his comfort zone to have that experience! And I’m glad he did, too! There are times we just need five minutes of uninterrupted time. 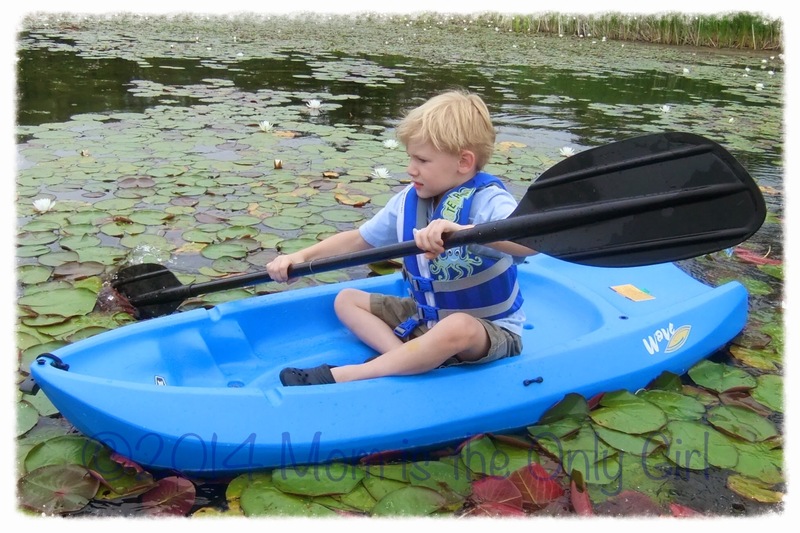 What to do really quickly to engage your child in an activity to give you that time? Grab a pencil and piece of paper. Simply draw part of a picture and tell them to come to the paper to finish whatever it is! For example, draw a circle, line for the body, and an arm or a leg (part of a sick-figure person). We did this with Sweet Pea and Cutie Pie the other day just to have a short time of quiet (they were very excited about going to their babysitter’s wedding and their volume was gradually increasing, while poor hubby’s tolerance was decreasing as he didn’t feel well.) This got them using their imaginations and calmed them down quite a bit! What quick activity do you turn to when you need a few minutes of quiet? 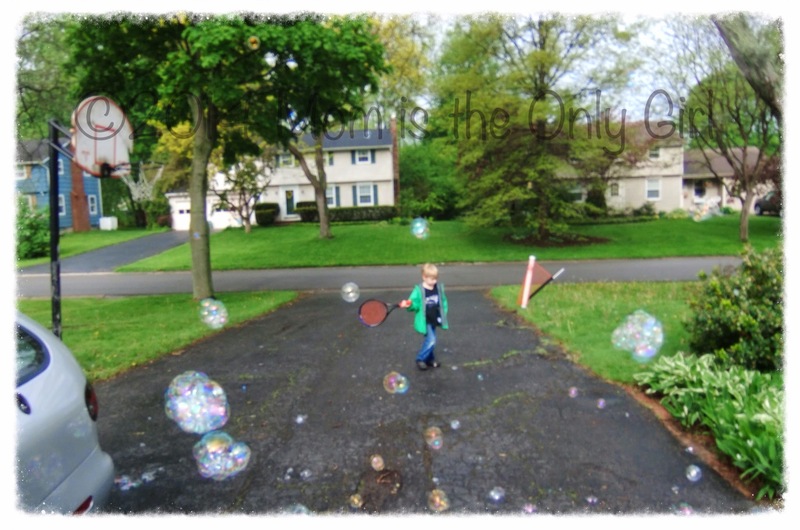 We found ourselves outside shortly after a rain last week and Sweet Pea wanted to blow bubbles. I hadn’t realized before, but we haven’t seen what happens to bubbles when they land on wet pavement. This was the perfect day! Sweet Pea was first enamored with the length of time the bubbles were hanging around. They almost seemed suspended in the air, not really falling or floating up to the sky. It was almost as if we were using a different bubble solution, but I’m sure it was more due to the moisture in the air. And they were coming out huge! Next he was amazed that the bubbles didn’t pop when they landed. The pavement was quite wet, and there were quite a few puddles around. Sweet Pea was even catching them on his wet hands! He didn’t really care about the science behind all of this, just wanted to keep playing with the bubbles! 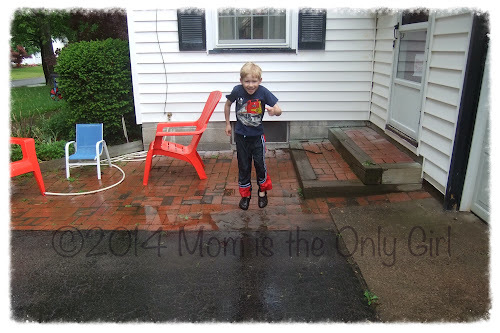 He especially loves running around with a tennis racquet, trying to pop them as he swings! Awesome gross motor coordination going on there! Hubby has a huge collection of ties. At last count (admittedly several years ago) he had 40 on his tie rack that he wears regularly and another 50 or so that he cannot part with stored in a box under the bed. I swore to him shortly after we were married that I would never buy him a tie. However, while searching for something creative for the kids to make for him last Father’s Day I stumbled across a very clever idea of a handprint tie and had to cave! It’s a fun activity, though, so I thought I’d share for an indoor activity for you to try if you are still looking for an idea! You might want to do a quick search for ‘handprint tie’ or ‘how to make a handprint tie’ to get some ideas if you don’t particularly like the idea shown to the right. First, test the fabric paint on a hidden part of the tie making sure it is the right color and the coverage you’d like is obtainable. Trace the boys’ hands and cut them out. Trace their cut-out hands onto contact paper. I know it seems redundant, but I wanted to make sure the handprints looked good before wasting contact paper. Very carefully, cut the handprints from the contact paper, being extra careful to cut from the center of the base of the palm line (rather than cutting through contact paper palm to reach the outline) so we were making a handprint cut out at the same time as making a handprint template. Does that make sense? (Should have made a pic of that step, but…) I made one cutout of each of their hands and kept all portions of the contact paper. 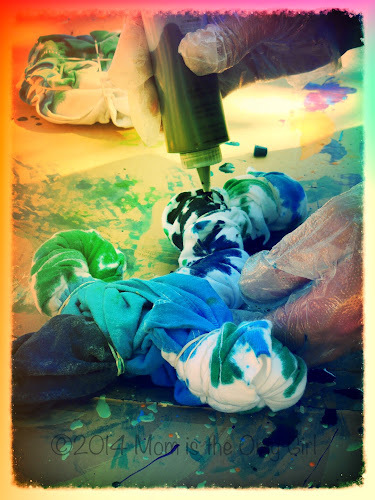 Take the sponge or brush and dip lightly in the fabric paint. Carefully tap the sponge or brush where you’d like the color to show. If you tap hard the paint will be thicker in that area. If you tap lightly, or pull it along the fabric it will show a little of the material through the paint and have different effects. After letting the paint dry the recommended amount of time indicated on the fabric paint bottle, carefully peel the contact paper off the material. You may have to repeat steps 5 through 8 several times so that your paint does not overlap an area you’d like to remain without paint. I wish I had taken pictures of each step, but apple green paint (the color the boys chose) a light blue tie and lots of fingers doesn’t allow for quick snapshots in an activity like this! 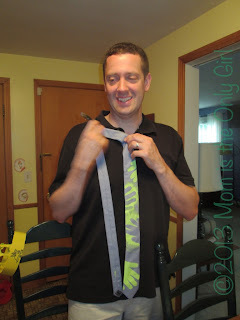 Hubby loves his tie! And yes, the color green we chose is a bit loud, but Hubby dresses very tastefully, in different colored button-down shirts so this is actually a good match!